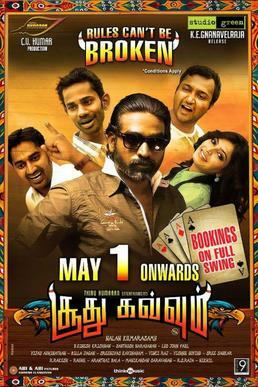 Soodhu Kavvum (English: Evil Engulfs) is a 2013 Tamil black comedy-crime film directed by Nalan Kumarasamy. It features Vijay Sethupathi and Sanchita Shetty in the lead roles. The film was released on 1 May. The film's main concept is about how Read More..
No reviews available for #SoodhuKavvum, Do you know Soodhu Kavvum?, Please add your review and spread the good things.